minutes. Take out the muffin pan and keep aside to cool. masala, black salt and mix it and keep aside. salt and sugar and mix it. Keep aside. stuffing like beans, sprouts, legumes. 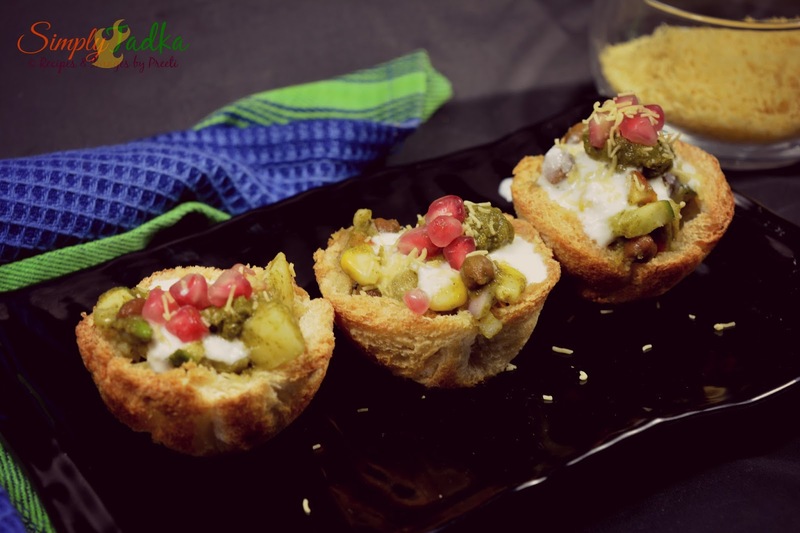 recipe, vegetarian, baked bread katori chaat recipe. know how it turned out in the comments below. These baked bread cups look fantastic Preeti. This becomes a versatile edible cup and love your choice of chat to fill it..
Those baked bread katoris look so cute and inviting Preeti..so nicely done! Looks yumm.. These mini bite sized dishes are my Lo's favourite. will surely try this out!! Looks delicious and yum. These baked bited sized snacks are delicious for kids as well as adults. 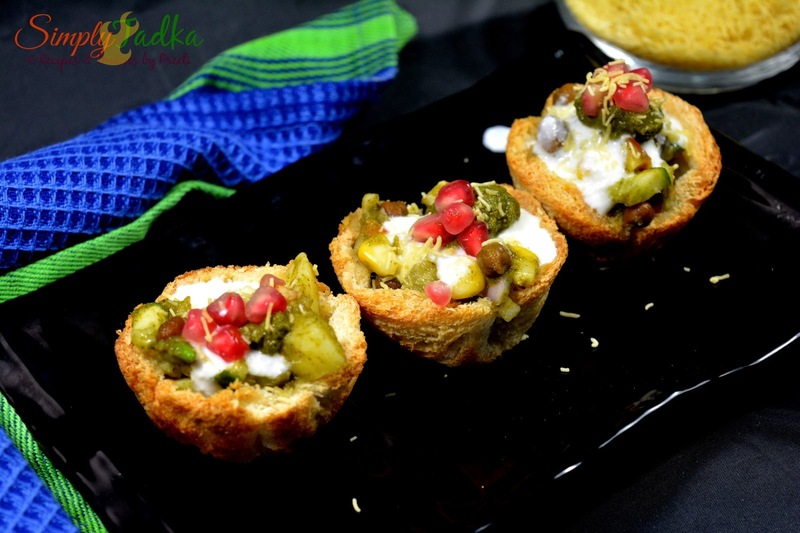 Baked bread katori chaat looks simply awesome. Irresistible bite sized chaat there, loving it. Wow Preeti what a delicious looking chat and that too in bread cups. I love anything with bread. Bookmarked this recipe. awesome bread katoris. Loved your choice of salad too. Lovely recipe! Can we bake the bread in advance ?? ?